Inspired by the majesty of mountains converging on high desert, this is where worlds collide. Reno Tahoe and bigtruck® have collaborated to create hats that truly represent the outdoor culture deeply rooted in the region. 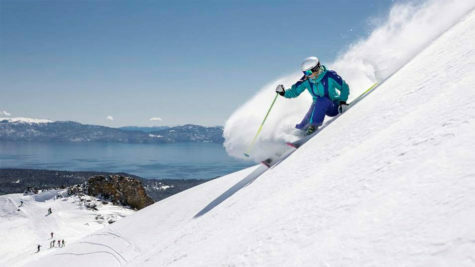 bigtruck® was started on the shores of Tahoe. They got their start making a simple yet symbolic beacon of an adventurous lifestyle: the trucker hat. However, their brand represents much more than a hat. It represents a lifestyle where ambition is fully inspired and quickly rewarded. 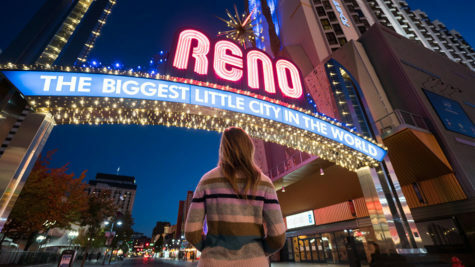 A lifestyle that is fully embraced in Reno Tahoe, where the brand got its start. Reno Tahoe x bigtruck® believe life should be lived to the fullest. We dig the dreamers. The hustlers. Here, you can look good, feel good, and go after whatever it is you want. Whether your idea of adventure is crowd surfing all night or paddleboarding all day, there’s a Reno Tahoe x bigtruck® hat to fit your style.